The new superphone, the Sony Xperia T, has a big screen, great camera and is carried by James Bond. What's not to like? Smartphones are getting brainier, and slimmer. 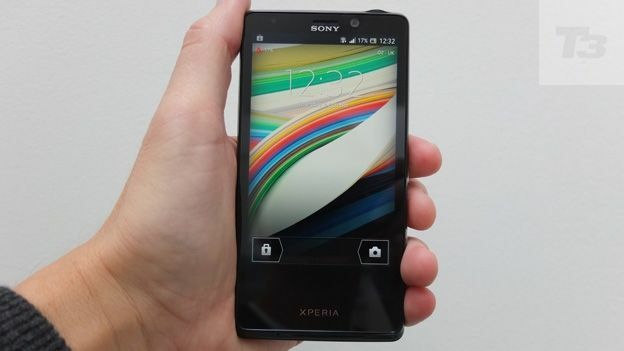 So while the new Sony Xperia T isn't as svelte as the iPhone 5, it beats Apple's flagship for camera resolution, screen size and features like NFC. Taking over from the Sony Xperia S as the brand's top-of-the-range Android handset, this phone has a lot going for it, though the absence of the very latest edition of Android is noticeable. Even so, Ice Cream Sandwich is very good and Sony's skin is well-executed (though some may feel TimeScape, which aggregates social networking updates and more, leaves something to be desired). And Bond fans will be delighted that it's the handset of choice for 007 in Skyfall. It picks up on the curved back of the popular Sony Ericsson Xperia Arc, with a pleasantly tactile matte finish. A silver, brushed metal effect version is also available. The concave back is a matter of taste, but the phone feels good in the hand, comfy and not oversized. There's a standout camera on the Xperia T. Its 13MP resolution is way above most snapperphones which max out at 8MP (except, of course, for for the 41MP Nokia 808 Pureview). Sure, megapixel count isn't the only important feature in a camera, and it you want to shoot at full screen width, you drop resolution to 10MP, but there are plenty of extra features to make things interesting, like red eye reduction and smile detection. And it has panorama – a feature taken directly from Sony's dedicated compact cameras. The latest iPhone software included this for some models, too. Sony's skill with music on a phone is evident here with a simple interface and decent sound quality. More than that, there's the Sony Entertainment Network which offers music for £10 a month and movies to rent. You can even play PlayStation games on this phone thanks to PlayStation Certification. Unlike the iPhone, the Xperia T has NFC so you can connect it wirelessly with other gadgets, which is cool. The screen is big – 4.6ins – so only beaten by a couple of handsets like the Samsung Galaxy S3 and HTC One X, for instance. The screen resolution is 323 pixels per inch, as close as dammit to the iPhone's Retina Display. And since this is a Sony, it uses some of the company's Bravia TV technology to make things look bright and vivid. There's a decent-speed dual-core 1.5GHz chip at the heart of the Xperia T. Though there are faster processors out there, this is more than enough for everyday use, with signs of slowdown rare. To maximise battery size, Sony has sealed the cell in. So it had better last you through the day, as you can't swap it out for another. Fortunately it does, though battery life is good rather than exceptional, and you'll need to recharge nightly. Which is true for people, too, of course. It's slim and light, it feels good to hold and it has a lot of power under the bonnet. If you fancy the styling, this is a great choice of Android handset. Sure, it doesn't have the latest Jelly Bean version of operating software, but the Sony wrangling of Android is mostly neat, with elegant icons and cute extras like the Sony Entertainment Network and PlayStation certification. Battery life is no more than average and performance is fast but not blisteringly so. But factor in the 13MP camera and huge, bright, detailed display and Sony is on to a winner.